DiMarzio Pickups - Andertons Music Co.
DiMarzio are one of the world’s most renowned manufacturers of guitar and bass pickups. 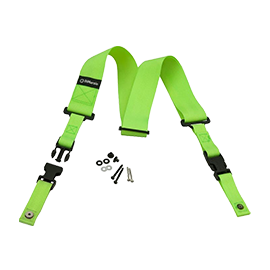 With a rich and long-standing history, their products have been used by some of the biggest names in rock and metal music. 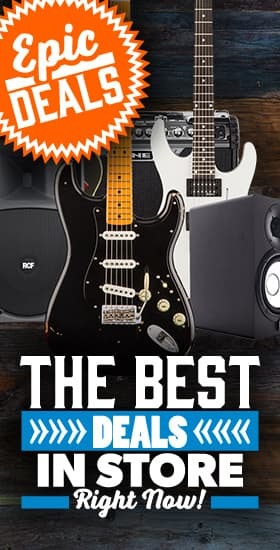 Establishing themselves as one of the leading electric guitar pickup brands in the industry, DiMarzio’s popularity is stronger than ever before, with major guitar brands such as Ibanez still installing their pickups in many of their production models. Their lineup doesn’t end just at their vast pickup range though, as DiMarzio also produce guitar straps, cables, hardware and electronics. Acclaimed guitar virtuosos Joe Satriani and Steve Vai have been on DiMarzio’s roster for decades, taking advantage of the notorious versatility offered by their pickups. But their designs have appealed to many modern pioneers too, with Jake Bowen (Periphery) and Dave Davidson (Revocation) using DiMarzios to carve their cutting-edge metal sounds. Founded in the early 1970s by Larry DiMarzio, the company found early success with their potent Super Distortion humbucker. 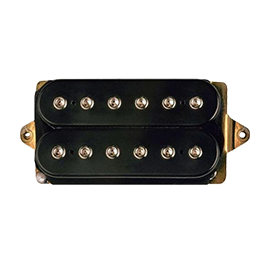 One of the first aftermarket guitar pickups available, this high-output pickup was a game-changer, used by a wave of guitarists looking for a more powerful sound. With tube amplifiers of the era unable to produce high amounts of saturated gain, the output offered by Super Distortion was almost double that of a traditional PAF pickup. This meant that it could drive amplifiers much harder, letting players attain a pushed, distorted tone. Early users included Ace Frehley of KISS, who used a triple stack of Super Distortions in his Gibson Les Paul Custom to form their famous hard rock style. At the turn of the decade, the Super Distortion enjoyed even more exposure, installed in many modded superstrats. Heard on countless hair metal records, the Super Distortion didn’t die out when grunge came along, and remains the cornerstone of DiMarzio’s catalogue. Now boasting dozens of different pickup models, DiMarzio’s lineup has expanded dramatically since its early days. With signature offerings for some of its most prestigious artists, DiMarzio cater for many players of all styles with their diverse range. The DiMarzio X2N is a noteworthy classic, popular with metal artists for its searing output and aggressive attack. Chuck Schuldiner of Death was a loyal user of this edgy-sounding pickup, giving his technical, palm-muted riffs all of the definition and bite required. The DP103 PAF is a great example, deriving closely from the classic 50s humbucker design. Providing nostalgic vintage tones, this pickup has a beautifully open sound with warm lows and clear highs. DiMarzio also manufacture single-coils suitable for Fender-style guitars, with the Chopper and Area series pickups garnering lots of praise for their clear and vibrant tones. 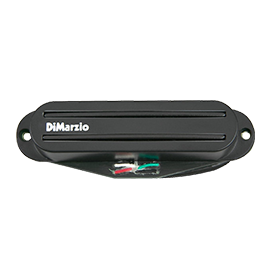 DiMarzio boasts a great selection of bass pickups as well, with renowned bassist Billy Sheehan using the Will Power models to drive his bass amps into rumbling overdrive.